The narrative feature, Fort Tilden, will screen twice at The Berkshire International Film Festival this weekend. Tomorrow at 9pm at The Triplex in Great Barrington and Saturday at 2pm at The Beacon in Pittsfield. The film is the full-length feature debut co-written and co-directed by Sarah Violet Bliss and Charles Rodgers. Allie and Harper are friends and roommates in their mid-twenties in Brooklyn, NY. The two are dealing with - or barely-dealing with - the torpor of quarter-life crises and their not-quite coming of age just yet as they rely on unrealistic dreams and parental rent and incidental checks to survive. 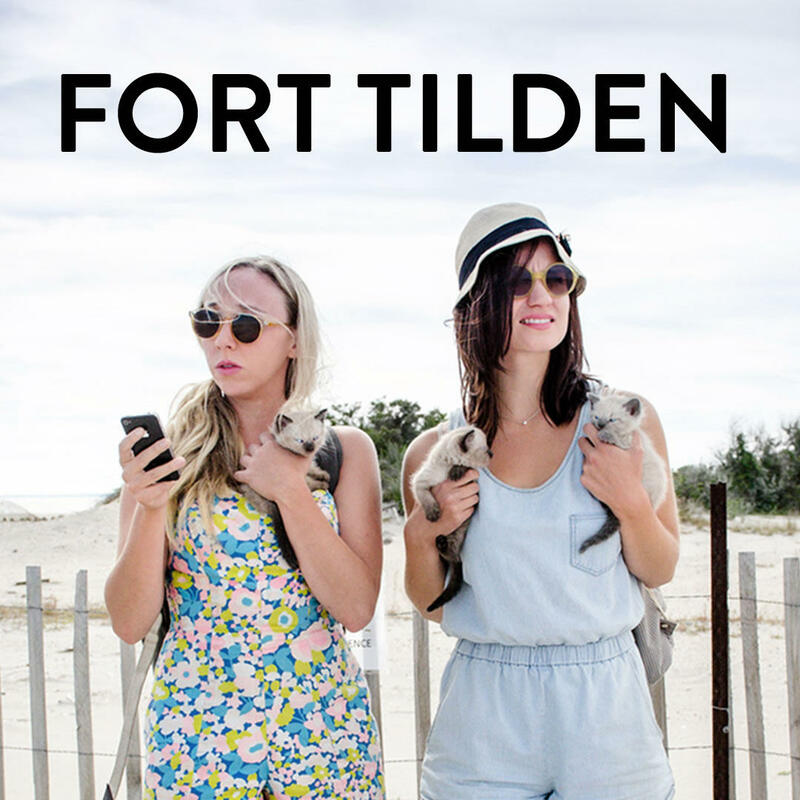 The two are looking for a care-free day at Fort Tilden beach but on their way, they quickly realize that, akin to their confusing, transitioning lives, they neither know where they’re going nor how they plan to get there. Co-writer and director, Sarah-Violet Bliss, joins us. The 9th Annual Berkshire International Film Festival will spotlight 75 features, documentaries and short films, as well as parties, filmmaker Q&As, workshops and awards, from May 29th to June 1st in Great Barrington and Pittsfield, Mass. BIFF - "Blue Gold: American Jeans"
Blue Gold: American Jeans is a feature-length documentary about how one unlikely garment ended up connecting us all. Following vintage jeans hunter Eric Schrader around the world, Blue Gold searches for the reason we all wear blue mining pants from the late 1800s. An ambassador of Americana, Eric trades in the history, myth, and intrinsic values that have made blue jeans the most expensive and fetishized piece of vintage clothing on the planet. From fashion history and subculture aspiration to the lost tradition of American manufacturing, Blue Gold explores Americana in our globalized world, where cultural exchange and social responsibility demand greater transparency and inspire innovation. Blue Gold: American Jeans will have its festival premiere at The Berkshire International Film Festival this weekend -- screening at 11:30am on Saturday at The Beacon in Pittsfield and again at 11:30am on Sunday at The Triplex in Great Barrington. Filmmaker Christian Bruun joins us. BIFF - Noah Baumbach - "Frances Ha"
The closing night film of the 8th Annual Berkshire International Film Festival is Noah Baumbach’s latest, Frances Ha. It was co-written by Baumbach and Greta Gerwig - who stars. Some of the other perfectly cast actors in the modern black-and-white comedy are Mickey Sumner, Adam Driver, Michael Esper, Michael Zegen, Charlotte D’Amboise, and Grace Gummer. Noah Baumbach’s previous films include Kicking and Screaming, The Squid and the Whale, Margot at the Wedding, and Greenberg. He worked with Wes Anderson on The Life Aquatic with Steve Zissou and The Fantastic Mr. Fox and co-wrote the screenplay for the Dreamworks animated film, Madagascar 3: Europe's Most Wanted. Frances Ha will screen at The Mahaiwe in Great Barrington, MA on Sunday, June 2nd at 7pm. Both Noah Baumbach and Greta Gerwig will be in attendance for a Q&A moderated by artist and Berkshire resident Gregory Crewdson. BIFF - Tom Donahue - "Casting By"
Tom Donahue’s documentary, Casting By, takes us through the last 50 years of Hollywood history from an entirely new perspective -- that of the casting director. Pioneers like Marion Dougherty and Lynn Stalmaster were iconoclasts whose exquisite taste and gut instincts helped to put an end to the studio system and usher in a new Hollywood. They broke away from traditional typecasting and brought actors like James Dean, Dustin Hoffman, Bette Midler, Robert Duvall, Glenn Close, and Gene Hackman to the screen. Tom Donahue combines personal narratives from actors, directors, and casting directors with extensive archival material to reconstruct the untold tale of Hollywood’s most invisible and unheralded profession. Casting By will screen as part of The Berkshire International Film Festival on Sunday, June 2 at The Triplex in Great Barrington, MA. A Q&A will follow the screening with Casting Directors Gretchen Rennell and Elissa Myers.